I forgot to tell you that I made homemade fig preserves back in the early fall. I didn't tell you about it because I didn't love the results. It came out too thick and I had to add water and microwave it to get it out of the jar. Well, instead of throwing it out I made a a fig moutarde (mustard). I had an amazing cheese course at one of my favorite restaurants, Dell'Anima in NYC recently and they served a fig moutarde next to a Pecorino Toscana. I loved it. 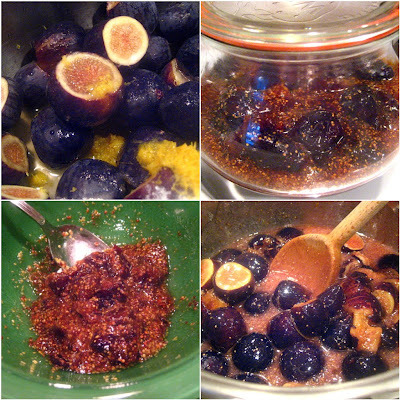 So, I added a tablespoon of grainy mustard with a few tablespoons of the thick fig stuff to make my own fig moutarde. I served it on roast pork sandwiches as well as on a cheese plate. I had another fantastic pizza at Jim Leahy's Co. in Chelsea this week. 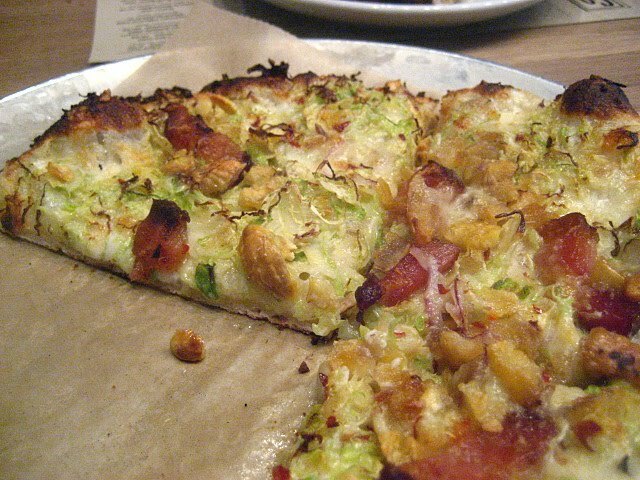 How about this seasonal pie: Brussels sprouts, bechamel, lardons and chestnuts. 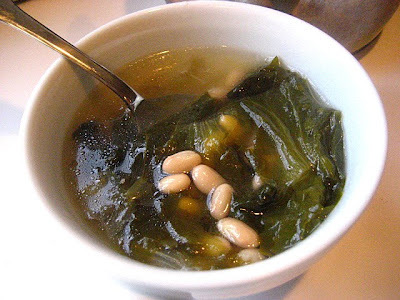 I made Giada's Escarole and Bean soup. It was very simple and satisfying. Stacey - Good save. Your "moutarde" is actually an Italian favorite called "mostarda" that is commonly served with bollito misto. With cheeses, it sounds perfect too. I forgot to tell you I ate at Dell'Anima Wed. night. Food was great (and the wine list) but the noise in there was horrendous. That pizza with chestnuts is THE BOMB! must try it before season is gone. We love a mostarda with a pork roast, yum! though I can see it being great with cheese too. I love how you think. You didn't throw it out, you made a wonderful moutarde with it. And it sounds wonderful. I also want to try the soup. It looks very satisfying on a cold day. Thanks. That pizza looks so good..very creative. 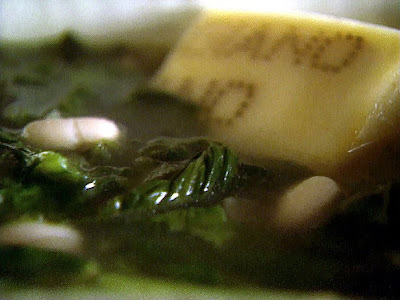 Ill have to try that simple, yet yummy soup. I love the way that pizza sounds, how unique and love the chestnuts on it! Of course everything else looks great along with your fig creation. I made something with figs the other day and thought of you. All of them sound great. Interesting pizza. Never see that combination around here. good save with the fig mustard.